Councilman Ahearn stated that the POA and the Club are both considering redeveloping their websites and suggested that if they are able to find a good web designer, they might be able to work out a deal with them to work on the other sites. “We’ll look into it,” said Ahearn. 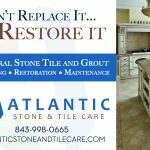 In the course of his work as the Town liaison to the many island organizations, Councilman Terry Ahearn stated that he met with Camp St. Christopher and introduced himself as the new Town liaison. He also talked with the Camp about the Town’s new website to gauge their interest, and the Camp replied that they would be interested in participating. Ahearn also reported that he spoke with the President of the Bohicket Marina Villas Association, Floyd DeAngelo, but has not been able to set up a meeting with him yet to discuss either the website or to introduce himself as the new Town liaison. “They’re having an issue with dogs right now,” said Holtz, noting that even though the Villas have their own set of rules, their small organization has a difficult time policing them. Ahearn also stated that he will be meeting with the new owners of the Marina and Freshfields about the new website later this month. 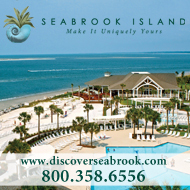 As for Seabrook Island Green Space, Ahearn reported that the group met with the owners of a stretch of land along Seabrook Island Road outside of the gates and learned that they are asking $12 million for the property. “So they’re thinking of looking into something a little further up the road instead,” said Ahearn. Lastly, Councilman Ahearn noted that the Seabrook Property Owners Association is possibly considering changing their election day to sometime in December, so that newly elected officers are ready to go by January 1, but they are considering how the change would affect the Town’s annual meeting. “It probably won’t happen for a while, if it does,” said Ahearn. Councilman Reed stated that the Roads Committee would meet the day after the Council meeting, but at the time, he had nothing to report..
Councilman Rob Savin has been working on the abbreviated version of the Town’s disaster plan, and has found that two changes need to be made. First, that the statement reading that CERT (Community Emergency Response Team) would provide primary medical care in the event of a disaster needs to be changed to read that CERT will provide medical care as backup to first responders. Second, that the date to review the new plan be changed from February to April so that the new POA officers will be ready to review and discuss the plan. “That’s just common sense about CERT,” said Mayor Holtz. Savin agreed, pointing out that CERT is still in a bit of a bind as an organization. Although the issue of insurance coverage was solved when the POA took responsibility for the organization, CERT is now having difficulty finding a means of funding. Holtz asked Councilman Ahearn to look into whether or not they would need to bring lawyers to the meeting, but said that “If they’re comfortable, we’re comfortable.” Based on the letter, Holtz was pleased, stating that it looks like the Town will be able to get a permit to move Captain Sam’s inlet back to the Town boundaries. Town Administrator Randy Pierce spoke with a contractor about the path which starts on the other side of the road from Town Hall and continues down to the Bohicket Marina. “There are stantions along the causeway which keep getting knocked down, so we’ll either improve the area or do away with the stantions altogether,” said Pierce, stating that eventually, the Town will have to take on the sidewalk as a major project as it’s also under water half of the year. “We might widen it or, if Red’s Ice House goes into the Marina, do more,” said Pierce. Mayor Holtz asked that the stantions be kept separate as they can be dealt with more quickly than the sidewalk. “There would be no problem with the stantions if they would just spring back up when they’re hit,” Councilman Savin smiled. “We’ll look at the total path and see what’s involved in fixing it,” said Holtz, after asking Piece to look into alternatives and solutions to the stantions issue. 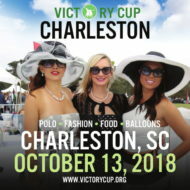 Katie Chapman of the Charleston Visitor’s Bureau (CVB) was happy to announce that the March edition of Southern Living seems to be the “Charleston edition.” “Mayor Riley is in here, the Food and Wine Festival, the Garden Festival … even the Editor talks about Charleston,” smiled Chapman. She also noted that the Food and Wine Festival is coming up for the weekend of March 4 – 7, and Fashion Week would be held soon afterward. “There’s a lot going on for the spring,” she said.